David M. Brodsky is a mediator and arbitrator of complex commercial and financial disputes, including those involving Foreign Corrupt Practice Act issues, shareholder derivative and class actions, software licensing, copyrights and trademarks, insurance coverage, RMBS buybacks and other RMBS issues, dissolution of close corporations, valuation and compensation disputes among partners, and professional (legal and auditing) malpractice. Mr. Brodsky was formerly a partner of Latham & Watkins and Schulte Roth & Zabel, where he was a highly-regarded trial lawyer who specialized in the investigation, trial, and resolution of complex financial investigations and litigation and had more than 40 years’ experience as a federal prosecutor, internal general counsel, and private practitioner. Mr. Brodsky is a member of the Mediation Panels of the Federal District Court for the Southern District of New York, the SDNY Bankruptcy Court, and the Commercial Division, Supreme Court of the State of New York, County of New York, and is a Special Master appointed to mediate disputes before the Appellate Division, First Department, in New York. He is also a Distinguished Neutral on the Panels of Hedge Funds, Banking and Financial Services, General Counsel, and NY Region of the International Institute for Conflict Prevention and Resolution. 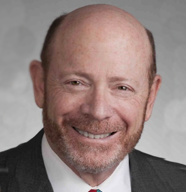 A Fellow of the American College of Trial Lawyers and a Life Member of The American Law Institute, Mr. Brodsky was also named a member of the National Academy of Distinguished Neutrals and of the New York Academy of Mediators and Arbitrators, and is consistently selected as one of the Top 100 of the Super Lawyers in New York, formerly as a trial lawyer and, since 2012, as an Alternate Dispute Resolution neutral. Mr. Brodsky is a member of the New York and District of Columbia Bars, and is admitted to practice before the United States Supreme Court, the Courts of Appeals for the Second, Third and D.C. Circuits, and before the United States District Courts for the Southern and Eastern District of New York and the Northern District of Texas. He is a graduate of Brown University and Harvard Law School. He clerked for a US District Judge in the Southern District of NewYork and served as an Assistant United States Attorney for the Southern District of New York, and as an Associate Independent Counsel in the Office of Independent Counsel, Washington DC. Update on the Corporate Attorney-Client Privilege, The Sedona Conference Journal, Fall 2007.